Founded in 1902 by Charles Engelhard, the Engelhard company has been ingrained with the precious metals community for decades. The quality of Engelhard silver bars has been a sought after commodity and although the company is now defunct, their bars remain as some of the most popular silver bars on the market. 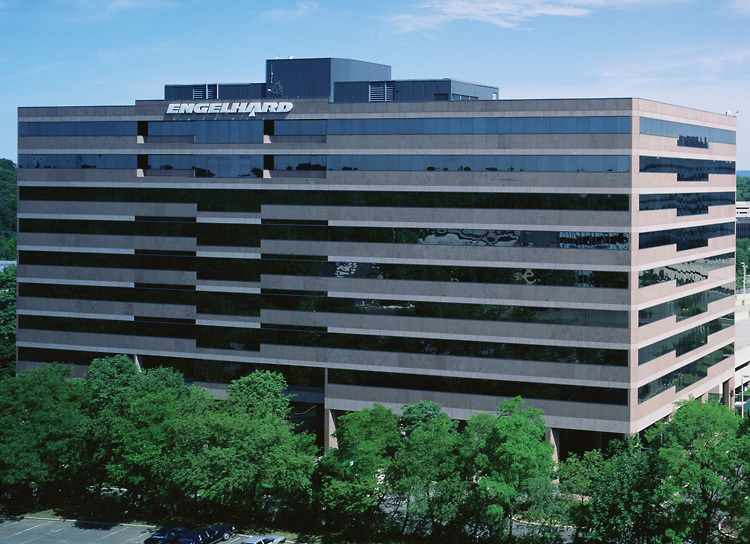 Engelhard was founded in New Jersey in 1902 by Charles W. Engelhard Sr. when he purchased the Charles F. Croselmire Company out of Newark. He quickly expanded the business by acquiring smaller smelting companies and one year later founded the American Platinum Works. One of Engelhard’s largest acquisitions was in 1904 when Charles Engelhard Sr. purchased Baker & Co., a large platinum smelting and refining company. This immediately thrust Engelhard into the forefront of the precious metal smelting and refining business. One year later in 1905, Engelhard established the Hanoi Chemical and Manufacturing Company and was soon the world’s largest refiner and fabricator of platinum, gold, and silver. Their expertise and expansion in this field saw them become the world’s largest precious metals smelter. Over the next 100 years, Engelhard would go through many more acquisitions, consolidations, and expansions. But throughout the course of their time in business, Engelhard has always been known for the high quality of their products. In 2006 the Engelhard Corporation was acquired by German chemical manufacturer BASF for $5 Billion USD. Even though Engelhard has ceased to make silver bars for years now, their silver bars are still some of the most sought after in the precious metals industry. Their brand recognition is bar none and the quality of their bars makes investors and collectors feel at ease when buying silver. 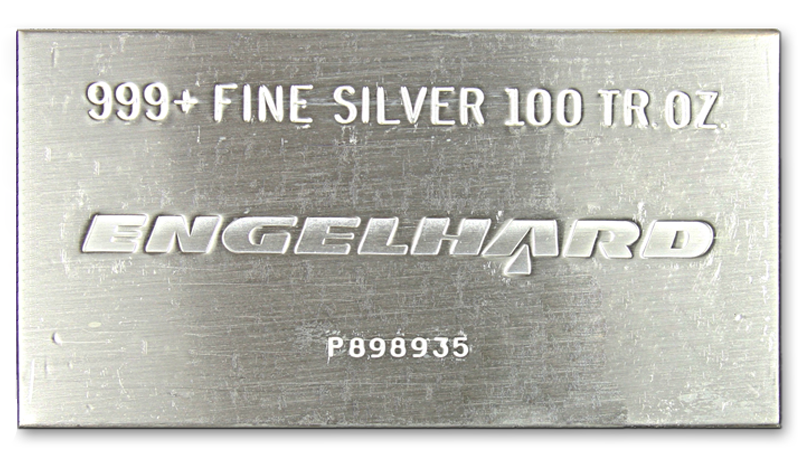 The three most popular Engelhard silver bars are 1 oz, 10 oz, and 100 oz bars. 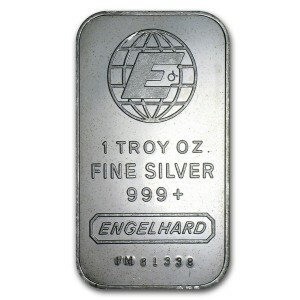 Some of the most popular bars are the Engelhard 100 oz Silver Bars. They are widely recognized throughout the industry and because of their popularity they carry with them higher premiums than other 100 oz bars.